I LOVE LOVE LOVE this month's BirchBox. For those that do not know, BirchBox is a monthly subscription of beauty items that is sent every month! It is $10 a month. You also can earn "points" by completing a review of the items in your box during the month. About every 2 months I have enough for $10 worth of items! Love mine too. 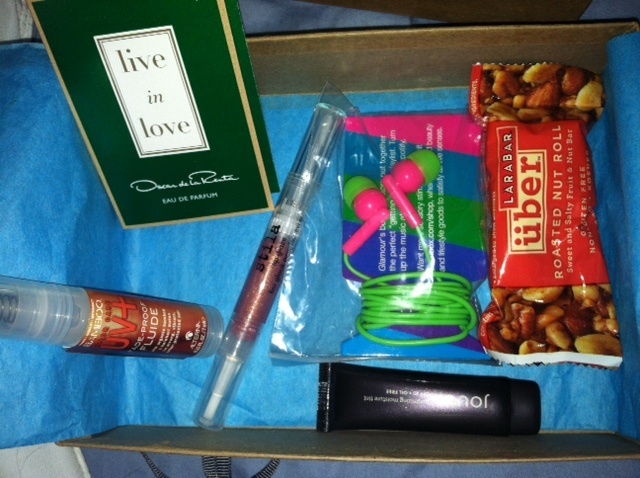 Your readers need to hook up too Birchbox! if you add the going rate for your perfume live in Love, $2.49 to $3.49 on ebay it brings your total up higher. Oh the mascara came in a cute little reusable tin with a screw on lid. can be recovered and used as a pill bottle. Ooh! Mary, I am very jealous of your bronzer! I have been eyeing it in the store. I really love Birchbox, and I have tried most of the boxes out there! Do you do the myglam bag as well. They are really great and instead of the box it comes in a makeup bag each month. Look them up of pinterest them. I really love both. Sorry they are also $10 each.